The classic Golf style is still there for everyone to see, with understated lines and a sporty touch here and there. From the entry level Golf SV S that returns up to 72.4 mpg with a 0-62mph time of 9.9m seconds to the sporty Golf SV GT which can go from 0-62mph in just 8.8 seconds and return up to 64.2mpg there’s a version for you. Still using the iconic Golf design, the Golf SV comes with quality as standard and everything you’d need in a 5 door hatchback. Bluetooth connectivity comes as standard as does DAB radio, front centre armrest and the CMS composition media system. The boot on the Golf SV is large indeed with 590 litres of space available. This however significantly increases with the split seats folded down. Whatever the situation you will find more than ample space to satisfy your needs. Both driver and passengers will be pleasantly surprised at the ride comfort in the cabin thanks to the generous legroom and headroom. 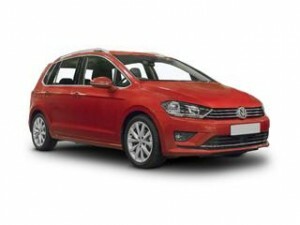 What makes the Volkswagen Golf SV special is the price. Coast2Coast Cars could make it even more special by saving you money against the list price. Use our online car quote system and build the car of your choice, you can even place your order direct with the dealer offering the best price.